VIPAccessEXCLUSIVE: Ella Anderson Interview With Alexisjoyvipaccess At The 2017 Nickelodeon Kids’ Choice Awards! Nickelodeon’s highly-acclaimed and hit TV show, Henry Danger is truly a masterpiece of a show. There are so many things we love about it – from all of the action-packed, adrenaline-filled adventures, to the sensational, all-star cast, and all of the exciting episodes. Needless to say, it’s one of our favorite shows ever and there is no question as to why it’s one of the most top-ranked shows out. Starring in the show as the fan-favorite character of Piper Hart is the brilliant and radiant actress, Ella Anderson. Ever since she was young, Ella Anderson has always had a great love and passion for acting. Now, we always look forward to seeing her amazing talent dazzle and shine in each and every fantastic episode of Henry Danger and all of the other exceptional projects that she works on. In fact, Henry Danger fans have even more excitement to look forward to as it has recently been announced that the live-action show will be transitioning into an animated show titled, The Adventures of Kid Danger and Captain Man. The cast-members have been working hard on the animated show and without a doubt, it will be nothing short of extraordinary and a show that we all will be glued to our TV screens watching. What kind of crime-fighting moments will Kid Danger and Captain Man get into? We all will just have to stay tuned to find out! Ella Anderson is such a great pleasure to watch on our TV screens. She has such an effervescent and lovable personality and she is a beauty both inside and out. In addition to Henry Danger, Ella Anderson is also a familiar face in many other terrific projects including the film, Mother’s Day and guest-appearances on shows such as Liv and Maddie, Dog With A Blog, and more. Ella Anderson is a ray of sunshine and we’re so happy for all of her excellent successes! 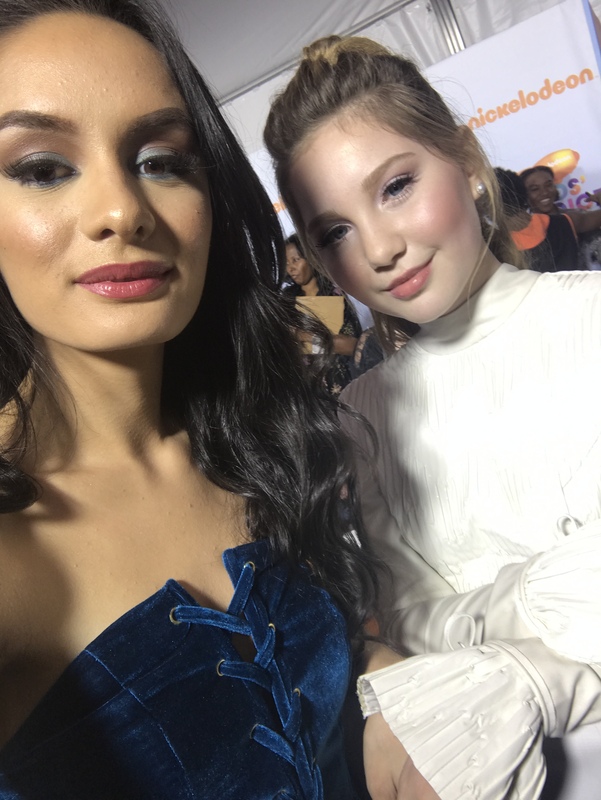 I, Alexisjoyvipaccess had the greatest honor of covering and attending the 2017 Nickelodeon Kids’ Choice Awards again and had a fantastic time interviewing the fabulous Ella Anderson at the event. Ella Anderson dished exclusively to Alexisjoyvipaccess all about what it’s like working on The Adventures of Kid Danger and Captain Man, who she would have liked to see slimed at the Nickelodeon KCAs and so much more only in our VIPAccessEXCLUSIVE interview. Ella Anderson event sent out one amazing message to all of her fans – hear what she had to say in our VIPAccessEXCLUSIVE interview below. Thanks for the fun interview, Ella! Check out my VIPAccessEXCLUSIVE interview with the lovely Ella Anderson at the 2017 Nickelodeon Kids’ Choice Awards below! Previous Article: Kira Kosarin Looks So Gorgeous In Her Girls’ Life Magazine Feature – Check It Out Here! Next VIPAccessEXCLUSIVE: Mace Coronel Interview With Alexisjoyvipaccess At The 2017 Nickelodeon Kids’ Choice Awards!